In May this year we started a very exciting new project here at RBGE. 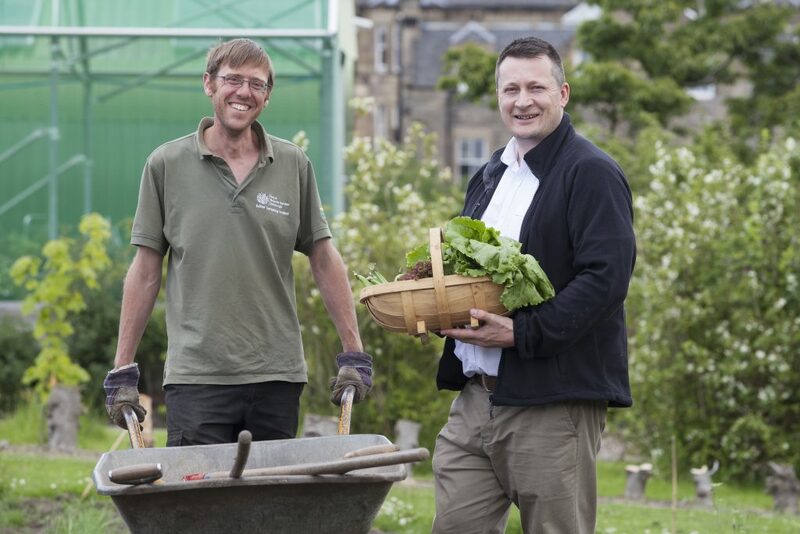 Funded by our caterers Sodexo we are developing a market garden that will supply our restaurant, café and staff canteen with fresh produce. 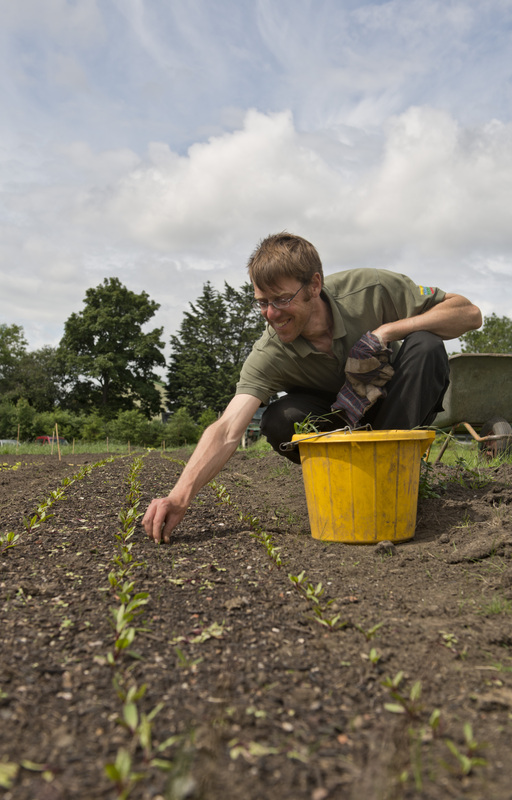 The market garden site is ¾ of an acre located in our nursery. It is a gentle south facing slope with sandy soil. We are aiming to grow everything using organic principles. We have set up a 7 year rotation plan to look after the soil and try to limit the build up of crop specific pests and disease. The rotation groups will be: 1. legumes (peas and beans), 2. brassicas (cabbage, kale et al.),3. potatoes, 4. salads, 5. cucurbits (courgettes, squash), 6. roots (beetroot, carrots) and 7. alliums (onions, leeks, garlic). We have come across a few problems. Weeds include couch grass, mare’s tail, creeping thistle and the vicious annual nettles. Pests have included pigeons, slugs, cabbage rootfly and the diamond back moth (which has caused widespread damage to the UK’s brassica crop). 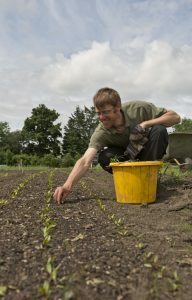 Despite this the garden is already starting to produce and the first crops delivered to the restaurant, café and canteen have been kale, courgettes, peas, lettuce, beetroot , chard and parsley. 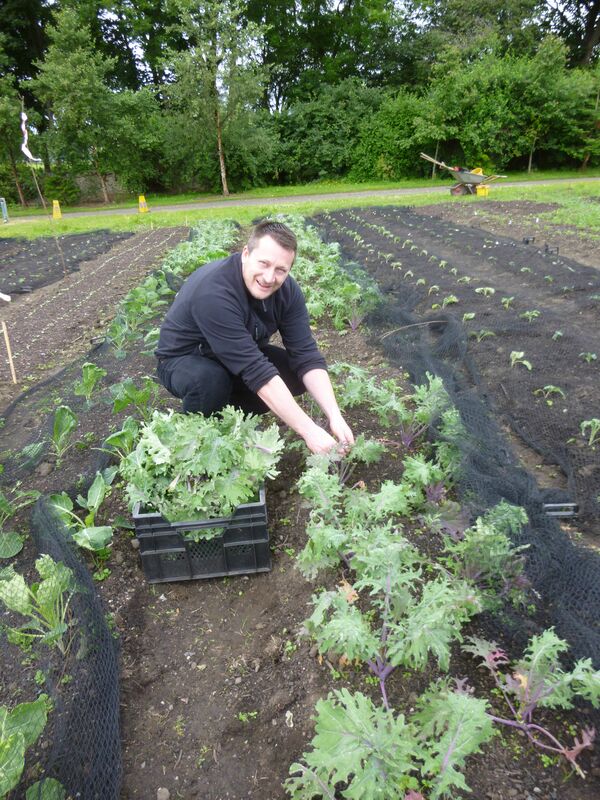 The chefs are delighted to be using our very own Botanics grown crops for their menus. We have recruited a small team of volunteers that will help out on a weekly basis. The long term aim is to develop a sustainable market garden that can serve as learning resource that demonstrates how we can grow and use our own food here in Scotland.